Hello everyone, apologies for the second palette post in a row but I wanted to share another way to make your own custom palette and although it was a bit of a faff it’s been so worth it! I LOVE Sleek eyeshadow palettes, they are some of the best on the market and worth a lot more than the £7.99 price tag. The Ultra Mattes palette was the first ever eyeshadow palette I got from my 17th birthday and since then my collection has rapidly grown, including a few beautiful limited edition palettes. The only problem I have with them is they all look the same from the outside, so when stored away and stacked neatly its hard to distinguish one from the other - meaning that unless its a special occasion I rarely reach for them. 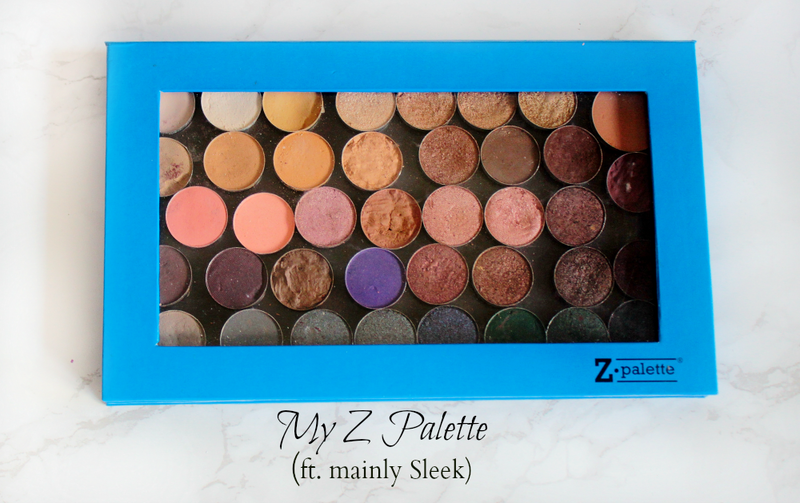 They just weren’t getting enough love, so when I saw that my lovely fellow ethical blogger (and talented MUA) Tamanna had made her own custom Z palette I couldn’t help but be inspired to do the same! I bought my Z Palette from Lovemakeup for £15.99 (I’m sure there was some sort of discount code I used though) and you can get the same thing from beautybay for £15.95. 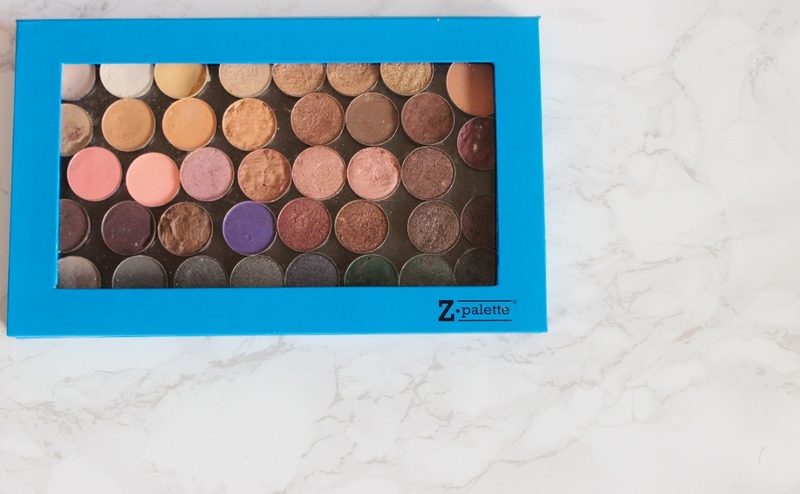 What is so appealing about these palettes are the clear window making it easy to see exactly what is inside, as well as the magnetic backing. 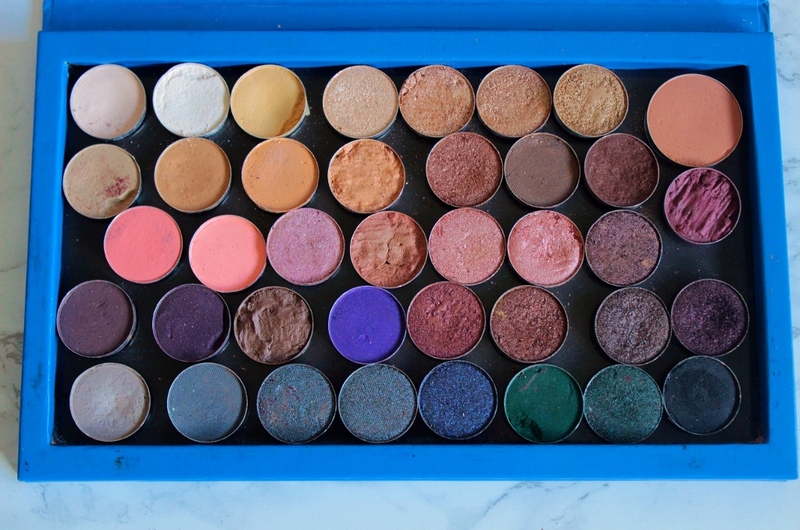 You can purchase shadows from MUG and Inglot and slot them in here with ease, as well as move them about. The magnetic lid is very sturdy and keeps products safe and protected. Also you can pretty much put ANYTHING that is in a pan in here. I have seen the coolest wet’n’wild collections in Z palettes, in a rainbow order as well as blushers and bronzers that have been depotted. This saves space and allows a lot of your collection to be condensed into one place meaning you will actually get a lot more use out of it! If I spot any random sales from beautybay I’ll be picking some more up to hopefully make a blusher palette too. 1. Be patient, especially when trying to get the black packaging off it takes ages and can be a little painful too ._. 2. It’s a messy process, so wear old clothes and cover surfaces well. You have to be really really careful when trying to depot and it’s almost unavoidable to smash a couple of shadows in the process. I ended up fixing a couple with surgical spirit (an alternative to rubbing alcohol) but also I chucked out duplicates, as most sleek palettes come with a black shadow and I only needed one. Although the fixed shadows don't look as good, like that beautiful purple/maroon shade on the right, they still work just as well. I also have in the top right corner a bronzer sample from Birchbox, which luckily is already in a magnetic pan. That shade is a brilliant transition colour for the crease (Lord and Berry - Sunny). Since making this palette, I have used the shadows over and over again. It’s so useful having a couple of palettes combined together and being able to order the shades in their colour families. 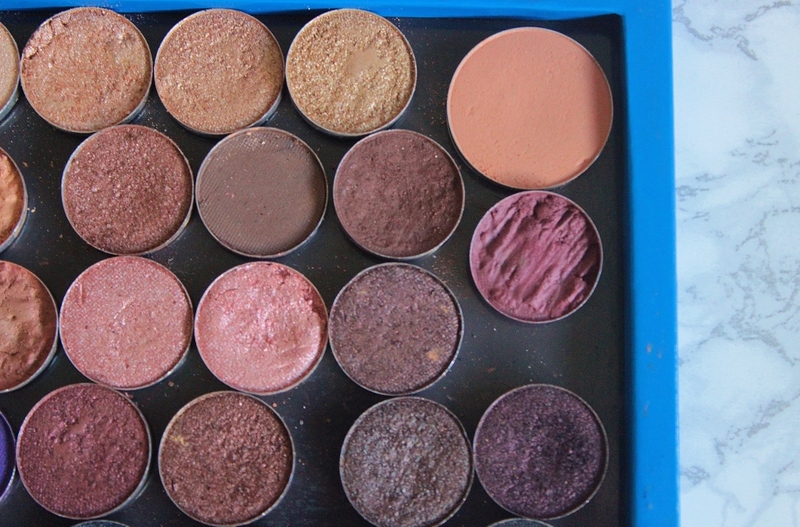 Sleek eyeshadows are very pigmented and blend together easily. 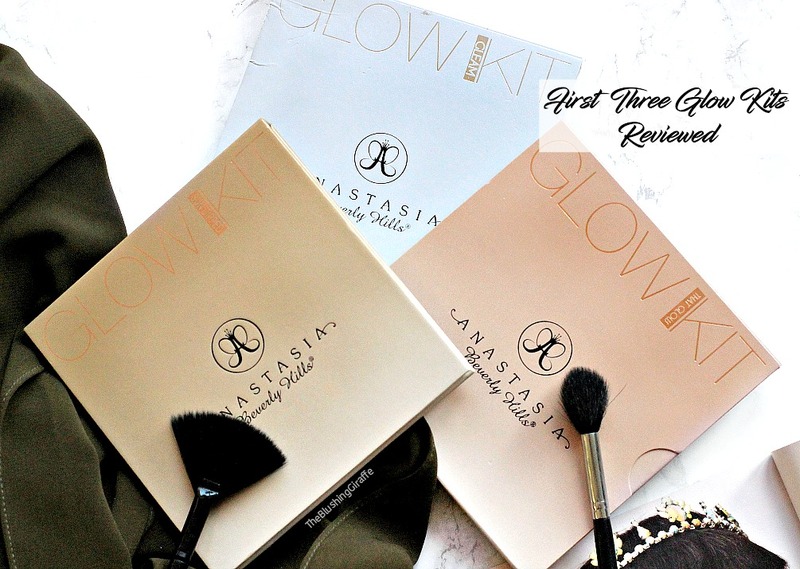 A little goes a long way and having so many shades in one place means I really do use them a tonne more! In this palette I have at (most of the shadows from) the Au Natural Palette, the Oh So Special Palette - reviewed here, the Vintage Romance Palette and a few of the shadows from the Ultra Mattes 2 palette. 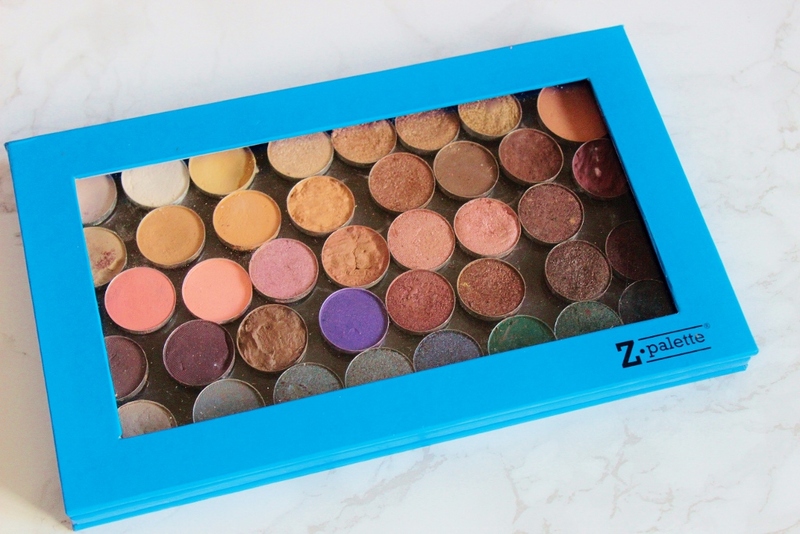 Have you got a Z palette?